Now it is the time to book your fall color sightseeing flights! Call us at 1-800-663-2277 to book your flight! 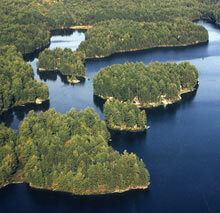 Tornado’s Air Services offers sightseeing flights in our famous de Havilland Beaver float plane. Flights depart from our Main Lodge, or for an extra charge, we can come to your location to pick you up. Our float plane holds up to 6 passengers. A basic flight is 20 minutes around our area, but further, longer flights are available. Our air service operates from the beginning of June to the end of September.